Tessa Dunlop and Neil Oliver present a guide to southern Wales - from the Severn Bridge to St Davids - unearthing the stories that give this coast its wild appeal. Tessa Dunlop and Neil Oliver present an insider guide to southern Wales - from the Severn Bridge to St Davids - as they unearth the stories that give this coast its wild appeal. Building on the best of ten years of Coast stories from these shores, Tessa takes to the seas to seek out new stories and extreme experiences for the guide. 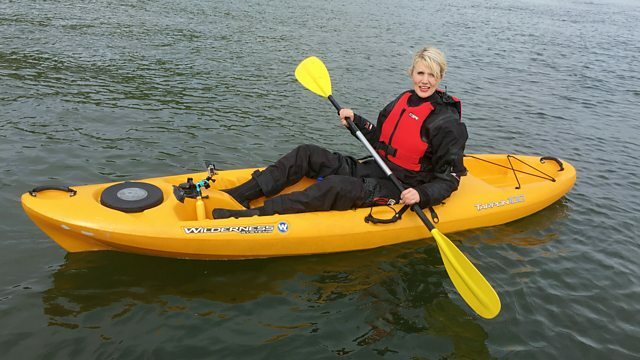 She tries her hand at coastal rowing, braves the high seas to explore why Gower was made Britain's first area of outstanding natural beauty, gets close to nature in a kayak at Worm's Head and tries her hand at a local tradition - cockle picking - at Penclawdd.